The Architect Expo 2014 aims to create opportunities for developers, designers, consultants, engineers, contractors, etc. to meet up with worldwide manufacturers and distributors in building industry. 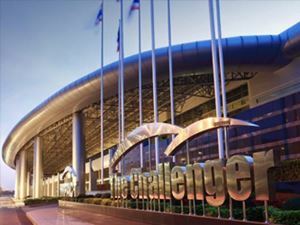 The show also seeks to promote the usability of most modern building materials and technology, with the intention of improving construction and decoration industry in Thailand to become the center of building materials exhibition in ASEAN. 75,000 square meters area will be transformed to the marketplace of products and services in construction and decoration business from 600 exhibitors, including International Pavilions, to attract more than 300,000 visitors from worldwide who look for innovative products and services to apply in their businesses. For more information please contact TTF international Co.,Ltd.